This is a 2 pin set. 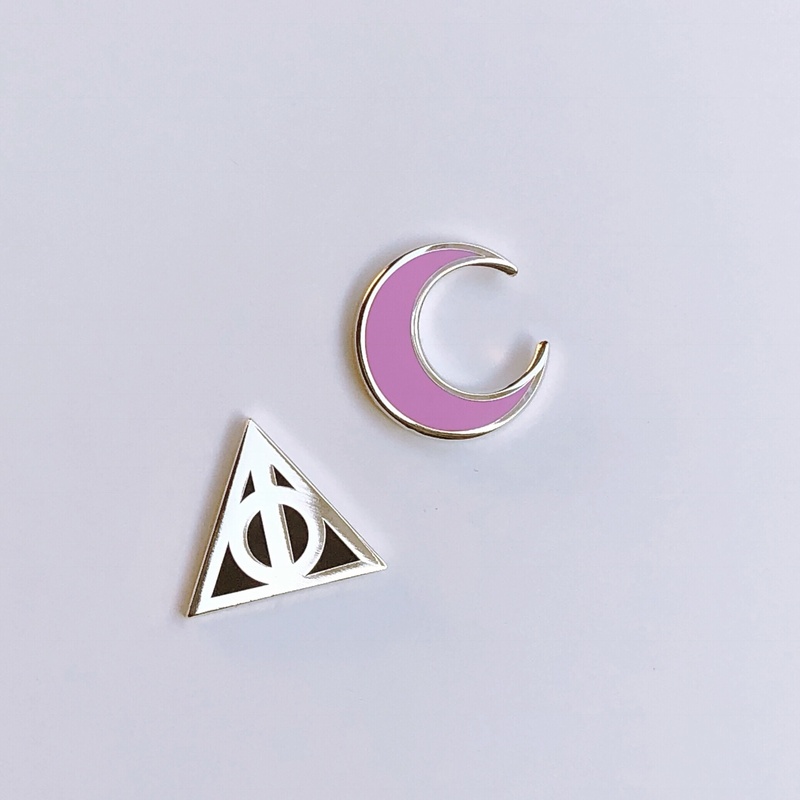 Each pin is around 1/2 inch and comes in 3 color options. 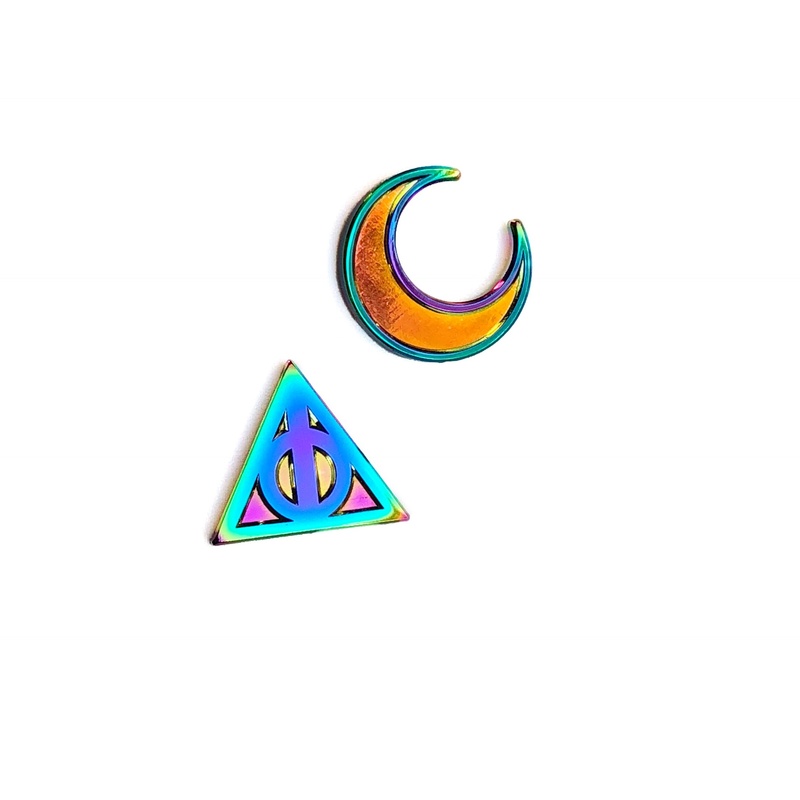 One option is rainbow metal with no enamel. Please understand that rainbow metal varies in color and are all different. It also comes in silver colored metal with black hard enamel. 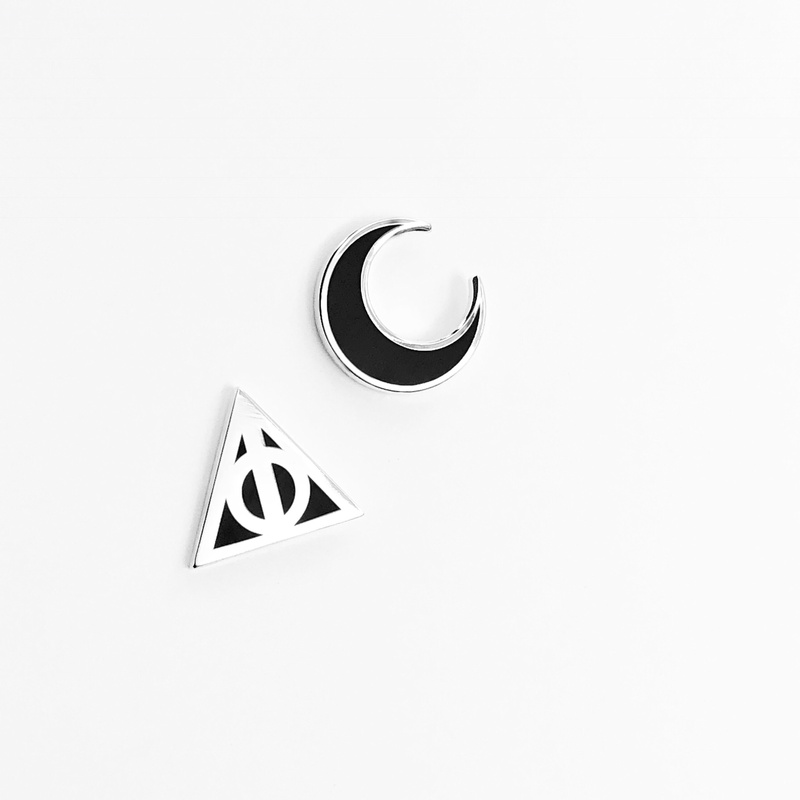 Or it comes in a silver colored metal with a black enamel deathly hallows and a pinkish purple moon.